At Collins & Montz Dentistry, we take pride in providing families and patients of all ages with excellent care they can count on. Dr. Hunter Collins and Dr. Roger Montz have been residents here in Melbourne Beach for many years, and their office is a modern and friendly space where you’ll always feel welcomed. Our team isn’t interested in rushing you through your appointments or hounding you into accepting overblown treatment plans – we take our time to ensure that your chosen services are the right fit for your oral health and happiness, and our approach is always low-pressure. 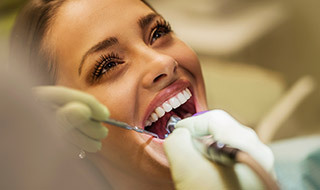 Whether you’re searching for your next checkup or desperately in need of advanced care for damaged teeth, our practice is the right place for you.